In this article we explore the general resurrection: what was it and when did it occur? In order to identify what the general resurrection was or consisted in, it will be useful to briefly survey the five deaths identifiable in scripture, so that we can safely rule out what it was not. 1) Moral/Spiritual death. Man was created in the image of God; he participated in the divine image and likeness by the indwelling of God’s Spirit (inspiration – Heb. “neshamah”, Strong’s # 5397) breathed into our first ancestor at his creation (Gen. 2:7). This inspiration allowed man to rise above his carnal nature. When man sinned, he lost the indwelling of God’s Spirit (neshamah). He became carnal, sold under sin. He possessed the ability to see and to choose right from wrong, but his affections so far inclined in favor of his flesh, that he was estranged from God in his heart, and followed after his lower appetites. Paul describes this, saying, “the flesh lusteth against the Spirit, and the Spirit against the flesh: and these are contrary one to the other: so that ye cannot do the things that ye would” (Gal. 5:17; cf. Rom. 7:14ff). Man’s carnality is treated as a type of “death” in scripture from which man must be awakened or raised. Thus, Paul says in Ephesians “Awake thou that sleepest, and arise from the dead, and Christ shall give thee light” (Gal. 5:14). Here we see that moral estrangement from Christ is characterized as a type of death, from which man is raised by turning from sin to Christ. 2) Legal/Juridical death. This is best comprehended as the sentence handed down by God for all that commit sin (the idea of imputed sin or condemnation is unbiblical and rejected). All that sin come under the sentence of eternal death, and are treated as dead, or as “good as dead” in contemplation of law. Paul alludes to this death when he says “And you hath he quickened, who were dead in trespasses and sins...God, who is rich in mercy, for his great love wherewith he loved us, even when we were dead in sins, hath quickened us together with Christ, (by grace ye are saved;) and hath raised us up together, and made us sit together in heavenly places in Christ Jesus” (Eph. 2:1, 4-6). We take the phrase “dead in sins” to signify that we were under judgment of sin and the sentence and punishment of eternal death. However, unwilling that any perish, God gave his Son to be a propitiation for our sins (“Christ died for all; salvation is freely available to all; and God wants all to be saved”). The sentence being satisfied by Jesus’ substitutionary death and atoning sacrifice, we are acquitted of guilt and “quickened” together with Christ. We thus pass from a condition of legal and juridical condemnation and death, to one of justification and life by the obedience of faith and power of Christ’s cross. 3) Physical death. Physical death was the result of Adam’s being bared from the tree of life (Gen. 3:22-24). It is not the ultimate penalty for sin, but it is clearly one of its immediate consequences and a perquisites to eternal death: “In the sweat of thy face shalt thou eat bread, till thou return unto the ground; for out of it wast thou taken: for dust thou art, and unto dust shalt thou return” (Gen. 3:19). Since physical death was the immediate doom brought in by sin, and bespoke the greater doom of eternal death that followed, it is from physical death that the promise of resurrection was given. This promise was made in veiled, poetic terms when God said that the woman’s seed would bruise the head of the serpent, signifying that Jesus would crush the power of sin and death by his cross and resurrection (Gen. 3:15). It is to physical death Martha referred when Lazarus died, saying, “I know that he shall rise again in the resurrection of the last day” (Jn. 11:21). The resurrection of the last day was therefore from physical death. Similarly, it is to the physically dead the Greek collectively refers when it describes Jesus’ resurrection saying he was raised from “among the dead” (Lk. 24:46; cf. Acts 17:32). Jesus was the firstfruit of the general resurrection. But Jesus’ resurrection was from among the physically dead. Therefore, the general resurrection is from physical death. However, a resurrection from physical death does not imply a resurrection to physical life. Our inheritance is in heaven, where physical bodies cannot enter. Flesh and blood cannot inherit the kingdom of heaven (I Cor. 15:50, 51; cf. 35-44). The natural body shed at death is replaced by a spiritual body suited to ethereal realms above – immortal, intangible, and immaterial. 4) Hadean death. Death and Hades are closely associated in scripture. The phrase “death and Hades” occurs with some frequency in Revelation, showing that these were inseparably related (Rev. 1:18; 6:8; 20:13, 14; cf. I Cor. 15:55). Called “Sheol” in the Old Testament, Hades was to the soul or spirit of man what the grave was to the body. The soul could not enter the presence of God in heaven without the atoning sacrifice of Christ, so the dead were sequestered in Hades until the general resurrection. The righteous dwelt in a place of comfort called “paradise” or “Abraham’s bosom” (Lk. 16:23; cf. 23:43; II Cor. 12:4), the wicked dwelt in a place of doom and punishment called “Tartarus” (Lk. 16:23, 24; II Pet. 2:4). Jesus’ spirit was in Hades with the repentant thief after their death upon the cross (Lk. 23:43; Acts 2:27). The inherent connection in previous times between death and Hades meant that resurrection from physical death was also a resurrection from Hades. (See Rev. 20:11-15; cf. I Cor. 15:55.) Hadean death was the last enemy standing between the saints and entrance into the presence of God in heaven. Hadean death was done away at the general resurrection. The saints now go directly to heaven upon decease, the lost to eternal punishment. 5) Eternal death. The wages of sin is death (Rom. 6:23). Death was the punishment annexed to sin from the very garden (Gen. 2:17). But physical death was not the ultimate consequence of sin. Rather, physical death entered because access to the tree of life was removed, lest man eat of the tree of life and live forever a sinner (Gen. 3:22-24). For the righteous, physical death held the promise of resurrection to eternal life; for the alien sinner, physical death forebodes eternal doom. Although we do not believe the soul of man is immortal (this was a Greek concept connected with the doctrine of reincarnation in which the soul was born to earthly life anew after a 1000 year sojourn in Hades), the spirit of man does survive physical death. Those who die outside of Christ are sentenced to Gehenna, also called the “lake of fire,” or “second death” (Matt. 23:33; Rev. 20:14, 15). Gehenna, or the Valley of Tophet, was a valley beyond the walls of Jerusalem. It was the place where the corpses of185,000 Assyrians that perished before the walls of Jerusalem were buried and burned (Isa. 30:31-33; 37:36). Josephus reports that over 600,000 Jews were cast into Gehenna from the famine during the siege of Jerusalem, where their bodies were flyblown and putrefied, and eaten by kites and dogs. This is the meaning of the phrase “their worm dieth not and the fire is not quenched” (Isa. 66:24; Mk. 9:44,48) viz., like a garbage dump, the maggots and fires assigned to consume the wicked are never quenched, but feed continuously upon those that neglect to lay hold upon salvation. Having reviewed the various uses made of the term “death” in scripture, it should be clear that the general resurrection consisted exclusively in resurrection from physical death and Hades. Only Hadean death was done away by the resurrection. Affirming any other “death” was done away will result in Universalism. Test it for yourself and see: if we say physical death was done away, then all men will live forever. If we say legal and juridical death was done away, then all men are justified. If we say moral and spiritual death was done away, then all men are made holy and pure. If we say eternal death was done away, then the penalty of sin has been removed. Thus, only Hadean death was destroyed by the general resurrection. See Rev. 20:14. So much for the “what” of the general resurrection. Let’s talk about the “when.” When did the prophets say the general resurrection would occur? It is clear that the prophets and the expectation of the Jews was that the coming of the Messiah would herald the resurrection of the dead. This was the promise made to Adam and Eve, and it was the constant theme traversing the centuries between the fall and the appearance of Christ. Hosea looks to the defeat of death when he says “I will ransom them from the power of the grave (Heb. Sheol); I will redeem them from death: O death, I will be thy plagues; O grave (Heb. Sheol), I will be thy destruction: repentance shall be hid from mine eyes” (Hos. 13:14). Similarly, Isaiah says “He will swallow up death in victory” (Isa. 25:8). Both of these passages are cited by Paul with expectation of imminent fulfillment (I Cor. 15:54, 55). Thus, it would be very strange if the promise announced by the prophets that was to attend the appearance of the Messiah was still languishing 2000 years after Christ appeared! But when would this occur? And since it would transpire upon the other side of eternity, in the realm of the spirit, not this side of eternity in the realm of the flesh, how can it be known if and when it was fulfilled? The most precise time statements are provided by the prophet Daniel in his last vision. Daniel is a book of timelines unto the kingdom and coming of Christ. It is also a timeline unto the general resurrection. Daniel’s prophecies span four world empires that would rise and wane, and provide a gauge by which men could know when the Messiah would appear. These kingdoms, described principally in chapters 2 and 7, were Babylon, Mede-Persia, Greece, and Rome. But as Rome did not fall until A.D. 476 – long past the appearance of Christ – a second timeline of 490 prophetic years was provided to further delimit the critical period (Dan. 9:24-27). These 490 prophetic years began with the decree to rebuild Jerusalem’ walls and gates after the captivity on the one hand (454 B.C. ), and concluded with the destruction of Jerusalem by Titus (A.D. 70) on the other. The events traversing these are described in minute detail in Daniel’s final vision, recorded in chapters 10-12. “And there shall be a time of trouble, such as never was since there was a nation even to that same time: and at the time thy people shall be delivered, every one that shall be found written in the book. And many of them that sleep in the dust of the earth shall awake, some to everlasting life, and some to shame and everlasting contempt” (Dan. 12:1, 2). Here is the resurrection of the dead, tied to the time of trouble, or “great tribulation.” The great tribulation consisted in the persecution under Nero (A.D. 64-68), the Roman civil wars that followed Nero’s death (A.D. 68-70), and the destruction of Jerusalem (A.D. 66-70). Jesus specifically mentioned the great tribulation in the context of the fall of Jerusalem in A.D. 70 and mentions the prophecy of Daniel by name (Matt. 24:15-21). Jesus said “This generation shall not pass, till all these things be fulfilled” (Matt. 24:34; cf. Matt. 23:34-39). Thus, the resurrection would come upon the heels of the fall of Jerusalem. The time frame established by Jesus occurs also in Daniel. Daniel did not understand the vision and asked when the things described would come to pass. The angel told him “unto a time, times, and an half; and when he shall have accomplished to scatter the power of the holy people, all these things shall be finished” (Dan. 12:7). 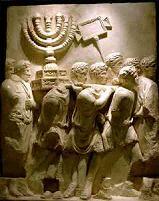 This points to the destruction of Jerusalem at the conclusion of the 3 ½ war with Rome. This is further corroborated by reference to the cessation of the daily sacrifice and the setting up of the abomination of desolation (Dan. 12:11-13). The daily sacrifice refers to the sacrifice offered twice daily for Caesar, which the Jews rejected and which Josephus says was the “true beginning” of the war. 1290 days would transpire from the taking away of Caesar’s sacrifice to the setting up the abomination of desolation (the Roman force assembled by Titus). This occurred when Titus marched from Egypt to Caesarea to assemble his forces. The 1335 days would be the 45 days more before Titus set up camp before Jerusalem during Passover, trapping over a million Jews within the city who would perish almost to a man. “All these things” would be fulfilled by the time Jerusalem was razed, including the resurrection of the dead: “But go thou thy way till the end be: for thou shalt rest, and stand in thy lot at the end of the days” (Dan. 12:13). Daniel would be raised at the end of the time specified, together with the rest of the dead. Dan. 12 is the shortest and surest route to establish the time of the resurrection. In fact, the whole issue of the timing of Christ’s second coming can just about be debated upon the strength of this one verse. When my friend Don Preston debated Mac Deaver here in Carlsbad in 2008, Deaver avoided any discussion of Dan. 12, despite Don’s repeated attempts to get him to give us his view on the passage. Don’s comment was that Deaver “didn’t even breathe on it.” That is, he could not be induced to offer one word by way of explanation how the resurrection is still future when Daniel so plainly placed it the fall of Jerusalem. This same studied avoidance of Daniel 12 is true of Gentry, Mathison, Strimple, and others who, confronted with the simple truth of the time for the general resurrection, cannot square it with their preconceived ideas. In their book “When Shall These Things Be? – A Reformed Response to Hyperpreterism” not one of the authors had the courage to attempt an explanation. For example, Mathison, editor of the book, affirms that Dan. 12:2 is talking about individual resurrection. Yet, when he quotes Dan. 12:5-7, which states that all these things would be fulfilled when the power of the holy people was shattered, Mathison weakly offers “the specific meaning of ‘a time, times, and half a time’ is not clear.” But if the 3 ½ years alluded to by this verse escapes Mathison, surely the “shattering of the power of the Jews” cannot! Isn’t, rather, that Mathison’s preconceived ideas prevent him from receiving the obvious meaning of the text? James Jordan, in his commentary on Daniel, surveys no fewer than six possibilities. He says that he believes there was a resurrection (“ascension”) of Old Testaments saints to heaven to reign with Christ in AD 70, and affirms that Dan. 12:13 appears to point to that fact. However, he rejects the idea that the resurrection of Dan. 12:2 refers to A.D. 70 for no more reason than it does not square with his understanding of the Millennia in Revelation 20. Thus, the obscurities of Revelation prevent him from receiving the plain teaching of Daniel! In the end, Jordan avoids committing to any certain answer – equivocating instead that maybe a spiritualized evangelic, teaching ministry is alluded to - a clear indication that the book is closed to all who try to force it into a futurist paradigm. The general resurrection consisted in the release of the accumulated souls in Hades. The prophets taught that the resurrection would appear with the Messiah. Daniel sets the time for the resurrection at the destruction of Jerusalem, A.D. 70. There was a gap of approximately 36 years marking the period between Christ’s ascension and his return. James Jordan, The Handwriting on the Wall (American Vision, 2007), pp. 615-618.